This first year program is for 5 year olds to begin learning the basic skills of catching, throwing, and hitting. The season runs from late April through early June with games and practices generally held during the week. Depending on the number of teams in the league the Coach may have the option of practicing on Saturdays as well. 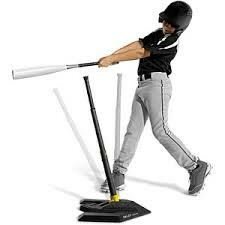 In Tee Ball, all players play the field every inning and the entire line up bats each inning. While we try to limit the number of players on teams, our teams are built around the men and women who volunteer to coach. If you are interested in coaching a Tee Ball team please send a message to baseball@ehtbaseball.org.